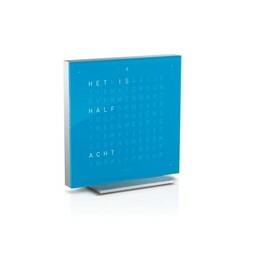 Modern QLOCKTWO TOUCH table clock do you now look differently at the time. 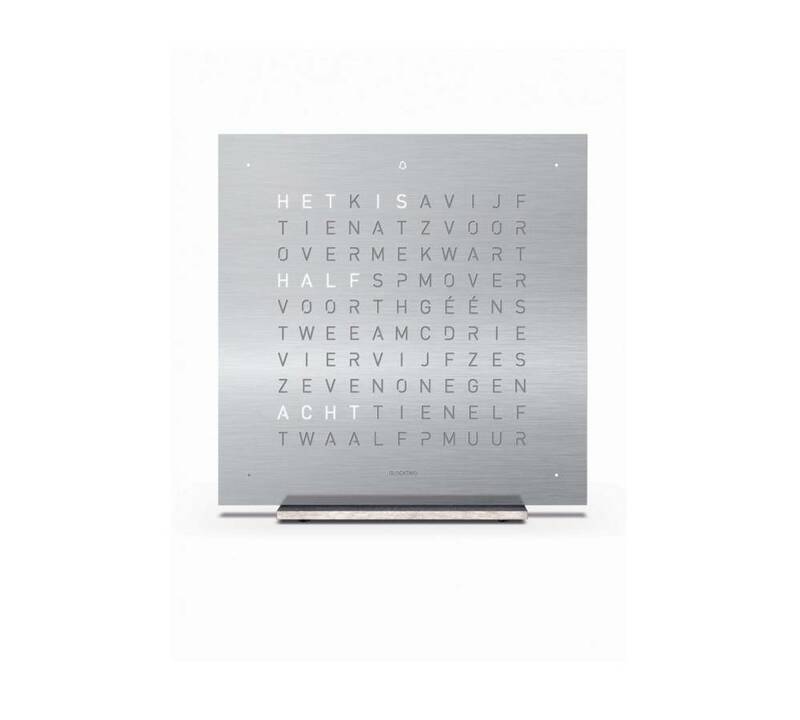 This stainless steel model, the QLOCKTWO TOUCH FULL METAL, is a brilliant model, whereby the time literally the words will be displayed on the front panel. The clock of the designers Marco Biegert and Andreas Funk indicates the time intervals of five minutes on the LED display and the intervening minutes are displayed by burning dots on the corners. This table clock can also be used as an alarm clock, because these smaller models are fitted with the handy alarm function. This alarm function is carried out with a snooze function, which will be activated by touching the clock on the upper side. It is also possible to adjust the brightness with the touch of a button and turn the night mode.